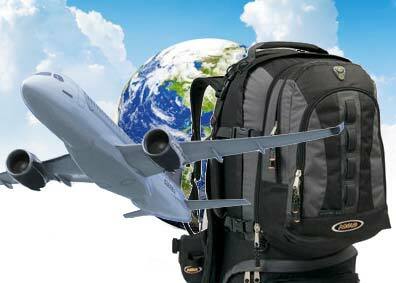 Travel Gear & Travel Accessories.- Travel the world with our gear. Do you want the best travel gear or travel accessories available at the best prices in Australia? Don’t pay Kent St prices, where you are paying for their real estate costs. Instead, Travel Ideology offer you the best travel accessories at the very best prices. You will find the same high end brands but at lower prices. Travel Ideology ONLY sell the very best brands at the very best prices available in Australia. This way you know that you are getting value for money. If you want a Swiss Army Knife or Leatherman, a silk sleep sheet, travel towel, or money wallet or any other travel accessory there is now only one choice – Travel Ideology. Whatever travel accessories you need, Travel Ideology will have it at the best prices on the web. Some products we sell for half the prices offered at old fashioned bricks and mortar retailers on Kent St. We don’t pay the high rentals and staffing costs and as a result you benefit. In comparing our travel products with Kent St stores, we found that we were able to offer some products such as Swiss Army knives at half the price of leading Kent St stores. We were offering higher quality. larger, thirstier, softer, quicker drying travel towels than a leading name in travel goods. We found that all the products we supplied, we did so at prices that were unavailable on Kent St- The best prices on the web! Leatherman | LED Lenser | Maglite | Mattel | Pacsafe | Power Traveller | Rough Guides | Sea to Summit | SteriPEN | True Utility | Victorinox and our brand Travel Ideology.